The United Steelworkers union is suing Essentia Health for requiring all employees to get flu vaccines, alleging the company has threatened to fire workers who don't submit to the vaccinations by Nov. 10. The union is suing on behalf of the Essentia workers it represents at 11 facilities in the Duluth area. It claims some employees "have medical conditions or religious beliefs that make it impossible for them to receive the vaccine, yet Essentia has denied their exemption requests," according to court documents. Essentia's Rajesh Prabhu, an infectious disease physician, said he couldn't comment on the lawsuit itself, but said health care workers need to be vaccinated against influenza to protect patients. Essentia, which employs more than 12,000 people across Minnesota, Wisconsin, North Dakota and Idaho, began requiring flu vaccines in early September. "The union's position is the employer needs to bargain over any material change to employment terms," United Steelworkers lawyer Justin Cummins said. Last year, Essentia started a mandatory participation program. Workers had to explicitly accept or reject a flu shot. That brought vaccination to 82 percent. "We didn't feel they would increase any further," Prabhu said, "without some sort of mandatory policy." Many other health care systems have made flu shots mandatory for their workers in recent years. The Immunization Action Coalition says there are more than 640 clinics and hospitals with similar policies. Hennepin County Medical Center in Minneapolis has a mandatory participation policy, similar to the policy Essentia tried last year. HCMC had better results than did Essentia, reaching 90 percent vaccination among its staff. 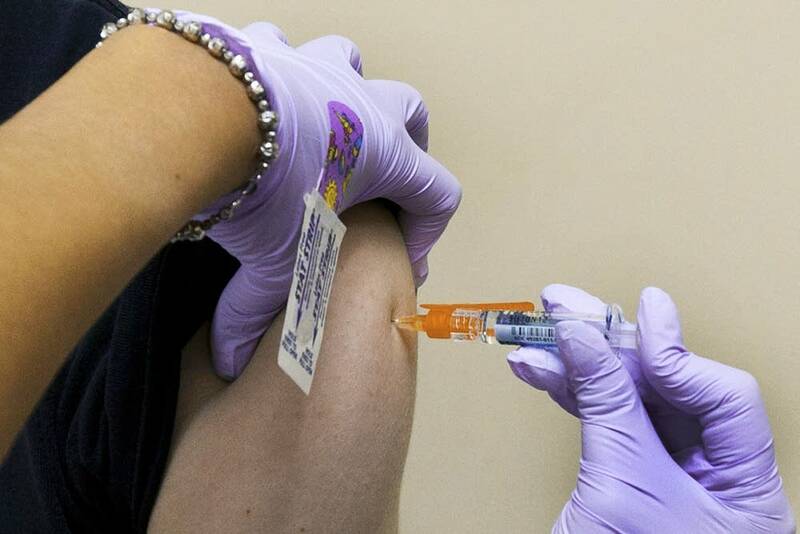 Sanford Health made flu shots mandatory for their employees back in 2013. First they tried it out at their Bismarck Medical Center, where the vaccination rate is nearly 100 percent. Now their whole system is roughly 99 percent vaccinated. Across Minnesota, Prabhu said health care worker vaccination is fairly low. "Compared to other states," he said, "Minnesota ranks 44 out of 50 states in terms of immunization of health care personnel." The union will pursue an injunction in federal court preventing Essentia from firing anyone before the dispute can be resolved.